On our Mock Driving Theory page you can practice no fewer than fifteen different mock tests. Each of them contains a total of 50 questions, which is similar to the actual test (although in the actual test at the time of writing this article you will have 45 multiple choice questions and this is followed by one case study that is worth five marks). If you are unsure of the case study element, then there is a sample one from the DSA you can see on our case study page. As with any exam that you might face, undertaking mocks is useful for two reasons. First, it gets you used to the actual process and procedure of sitting down and concentrating in a test. Secondly, it helps to highlight areas where you need to develop your knowledge. The ideal thing with a mock is to make the mistakes and be aware of them when it doesn't matter, so that when it does matter you can correct those mistakes and get a much better score. At driving theory test questions, our mocks are there to help you do just that. Each mock contains 50 questions from the official DSA bank of questions for car drivers. At the end of each test, we'll feedback your score on a question by question basis. Our recommendation is that at the end of each mock, you go through this list carefully and click through to learn the answers to any questions that you got wrong. Try to understand WHY each answer is correct as this will give you a deeper knowledge of driving theory. 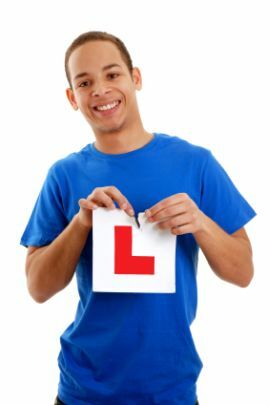 Whilst ultimately a mock driving theory test will help you pass the test, at the end of the day what is most important is to be aware of and understanding driving theory and the rules of the road for the duration of your time as a driver to improve your safety and that of other road users.